Looking for a cute favor idea that’s unique and speaks to your love of animals? Why not make a donation to the ASPCA and let guests know that you’ve made a donation in lieu of favors? Kim and Dave, one of Hello Production’s couples who recently got married, did exactly this. 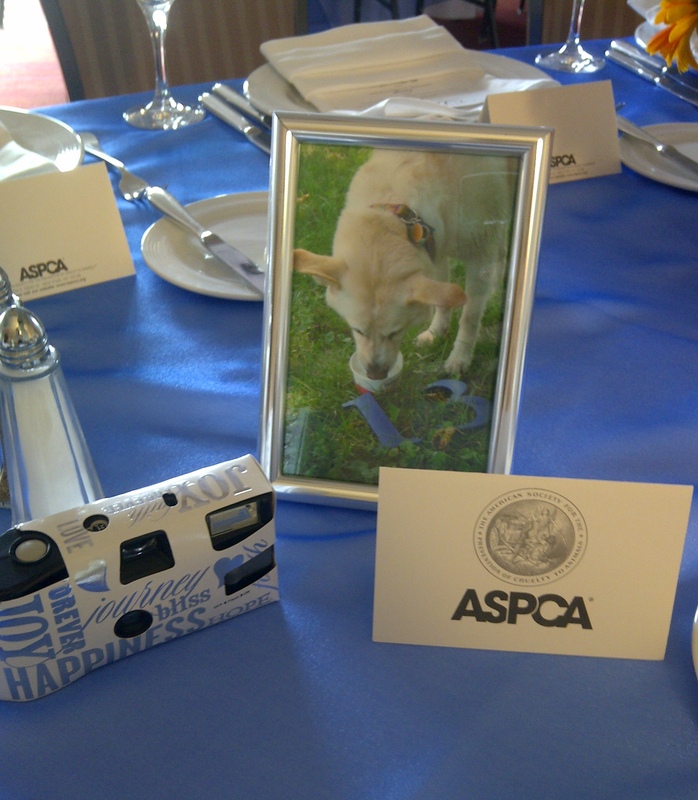 In addition to placing a card at each guest’s seat about their intentions with the ASPCA, they framed adorable photos of their pup, Sadie, with cutout numbers to serve as the table numbers. The ASPCA has created a special web page for wedding donations: www.aspca.org/wedding. If you are considering making a donation to the ASPCA or another organization, make sure to do it several weeks before the wedding to allow the organization plenty of time to send you the cards for your guests. We have chosen a special way to say “Thank You” for sharing this happy day with us. In celebration of this joyous day, we have made a donation in your honor, in lieu of traditional wedding favors, to The American Society for the Prevention of Cruelty to Animals so that the country’s animals will have the opportunity to have happier, healthier and safer lives. We truly appreciate your presence on this special occasion. If there is something that you and your fiancé are passionate about, making a donation in lieu of a favor can be a nice gesture and there are plenty of ways to creatively work this news into the reception. What other ways have you seen donations done creatively? Tell us about it!